Build your own fleet and launch the assault! 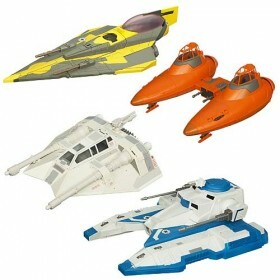 Amazing vehicles from the movies and animated The Clone Wars series and the classic Star Wars films! Build your own fleet of intergalactic proportions and launch the assault! 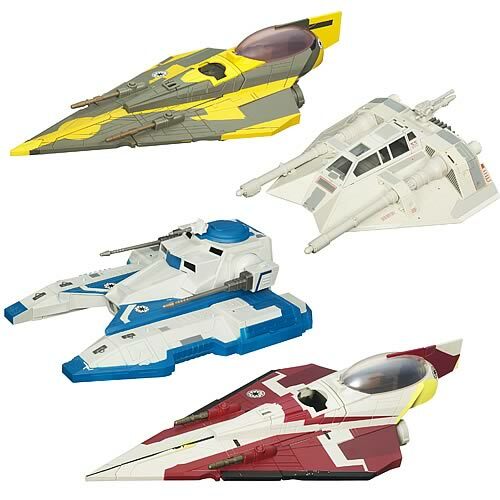 The Star Wars saga continues with these terrific 3 3/4-inch scale collector vehicles. They include terrific action features, like firing missiles, so it’s almost like traveling through space. Each awesome toy in the assortment comes individually packaged in its own colorful, attention-grabbing box… ready to join the fight! Toywiz Malaysia will be taking preorders for the following vehicles which will be released on August 2010. Each vehicles is RM109 and some are sold in sets only.